It'll have to pass the tough carrier lab tests first, though. 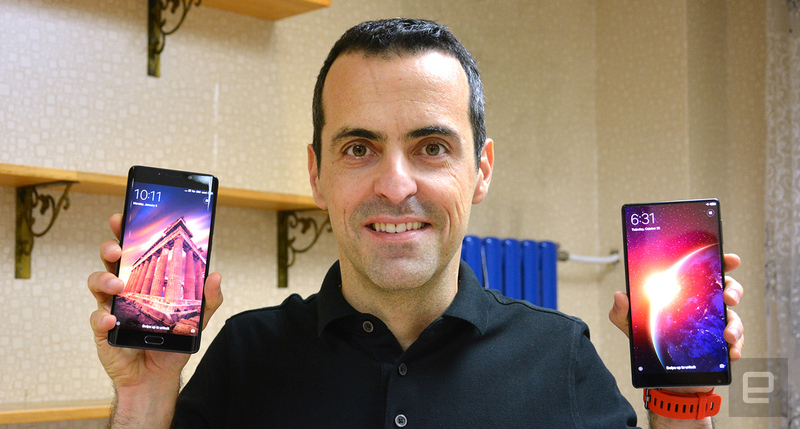 Xiaomi's Global VP Hugo Barra holding a Mi Note 2 and a Mi MIX. October 9th marked Hugo Barra's third year at Xiaomi, and as its Global Vice President, he watched the company evolve from a China-centric smartphone e-tailer to an IoT ecosystem with a growing international footprint. Xiaomi's recently entered Russia, Mexico and the Middle East, with Poland, Vietnam, Thailand plus a couple other Latin American markets next on the docket. But the long list is still missing one key region: the US. While the ex-Googler continues to stay mum on a launch date, he did reveal to Engadget that his team has already started testing phones in America. Such commitment is an important milestone ahead of the notoriously tough US carrier lab tests. You see, US mobile networks use odd bands that aren't widely adopted in most parts of the world. So, to ensure compatibility, the local major carriers are notoriously tough when it comes to testing phones that want to be deployed across their networks. The well-established mobile companies are happy to oblige, of course, because selling their devices through the big US carriers guarantees sales volume due to their channels and customer base. More importantly, they're already familiar with the process and requirements; whereas Xiaomi, a relatively newcomer, is not. A US launch may happen as soon as 2017. This means Barra and his team have to practically start from scratch, in the sense that they have to learn everything about the testing methods and be physically set up shop in the US. The company has embraced the idea of going global under Barra's guidance, and Xiaomi is finally willing to make the investment, but he reckoned it will take a year or two before the company is ready for the US. Barra didn't reveal when exactly his team started this project, but based on his mention of a couple of test devices, my guess is that a US launch may happen as soon as 2017. "Earlier this year we had a special version of Mi 5 that we made just for testing in the US, just so that we can start testing and doing small-field trials to sharpen our chops, if you will," Barra said. "And now we have Mi Note 2 which is another device that we can use for some field testing in the US. That's again just another small step in the right direction or in the direction of being able to launch full-on products there." 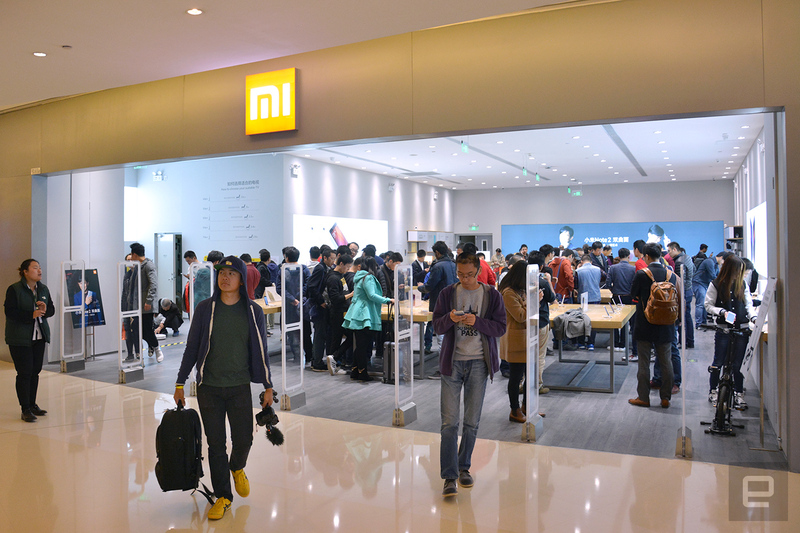 Of course, Xiaomi could just follow other Chinese brands and sell directly to US consumers. After all, Xiaomi is already offering its accessories and 4K Android TV box in its US online store (and also Walmart for the latter). But judging by Barra's emphasis on the carrier lab tests, his company appears to have already made up its mind. To make his point, Barra brought up how a Chinese brand -- no names mentioned here -- launched a phone in the US almost a year ago, but "it ended up being a complete flop." The reason was simple: It lacked Band 17 which is used on AT&T's LTE network, but said brand wrongly assumed that it wouldn't be an issue at the time (so it's pretty obvious which phone that was). Had that company worked more closely with either AT&T or T-Mobile, it would have been a completely different story. "We're not going to launch something until we're ready," Barra said in reference to the technical preparation and team bandwidth required for a US launch.